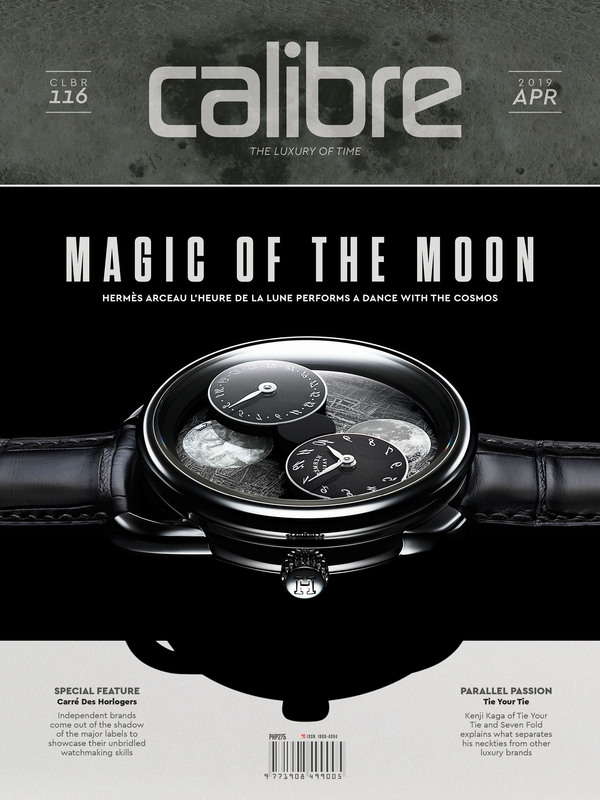 ENTER through the electronic turnstiles at the main hall of Messe Basel during the 2019 run of Baselworld, and a guest would likely be greeted by four or five gorgeous models giving away copies of Baselworld Daily News — an innovation this year. What was also hard to miss, mainly because of its scale, was a stylized aircraft propeller that was spinning slowly. Placed on a prominent spot at TAG Heuer’s exhibition booth, the installation, one would realize immediately, was meant for the brand’s latest Autavia collection. 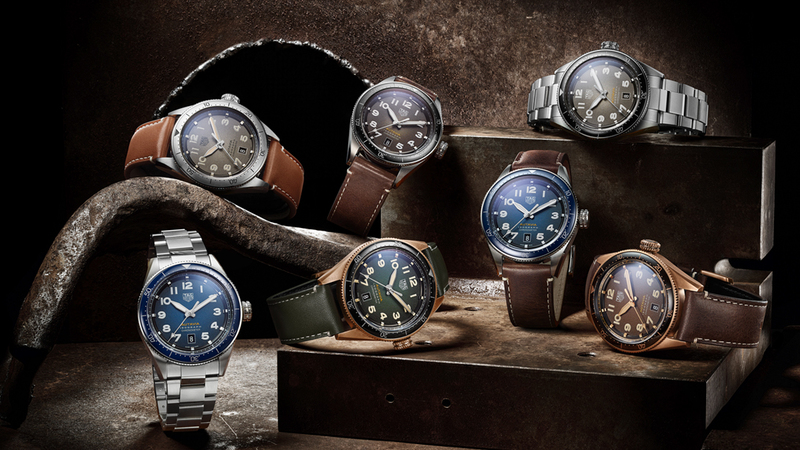 TAG Heuer this year updates the Autavia by, well, going further back to the model’s past — or to the 1960s in terms of the wristwatches, and to an earlier time (1933 to 1957) when the Autavia was a dashboard timekeeper for race cars and airplanes. So, unlike the 2017 ref. 2446 “Rindt” remake (not to mention earlier resurrections which garnered only lukewarm receptions), the Autavia this year looks quite different. For starters, the Autavia is strictly a three-hand affair — for now, at least. And instead of being a model evoking motor sports, its design now leans more toward aviation. 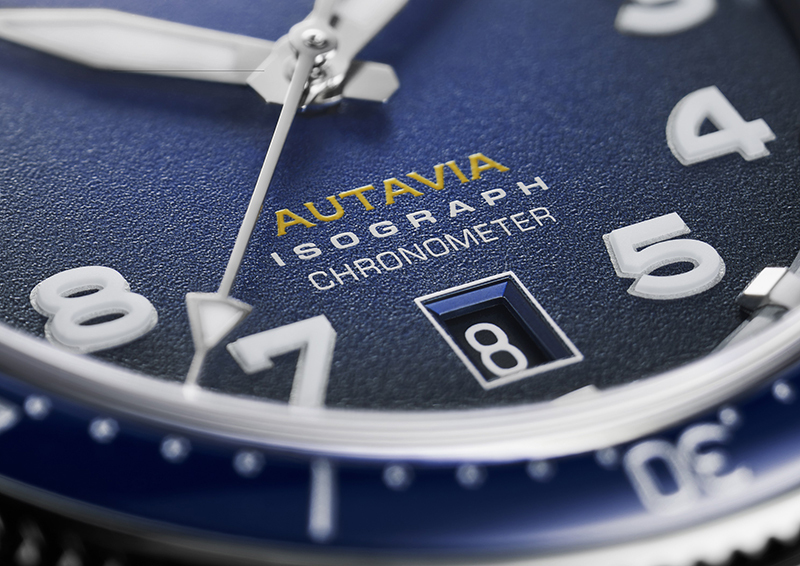 Which isn’t surprising, given that “Autavia” is a portmanteau of “auto” and “aviation.” More significantly though, TAG Heuer has spun off the Autavia as a stand-alone collection; the Autavia takes its spot alongside TAG Heuer’s Carrera, Monaco, Formula 1, Aquaracer and Link collections. Autavia’s move skyward, associating itself with pilot’s watches, should set it apart from its motorsport-heavy siblings. For TAG Heuer, this also means entering a market segment it has largely, if not completely, missed out on for decades. The first five of the references listed above are housed in 42-millimeter steel cases, which mimic the original Autavia wristwatch’s case shape and beveled lugs. A bidirectional rotating bezel with a 60-minute scale in black ceramic, blue ceramic, or steel boost the models’ sporty look while the oversized crowns reference those on vintage pilot’s watches and dash timers — which had to be operated while wearing gloves, explaining their size. Hour markers and hands are coated in SuperLuminova. The dials are gradated — darker around the edges — to further their vintage illusion. Matching the dial colors is either a dark brown or a light brown strap. 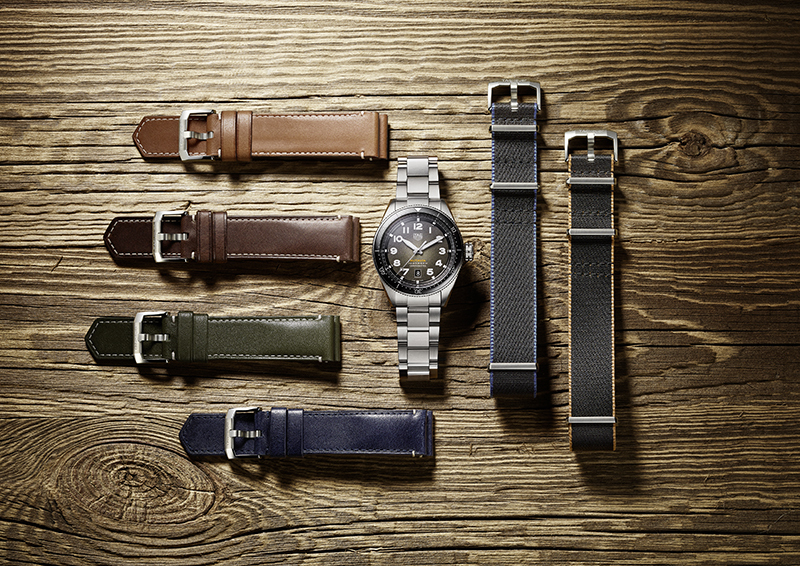 If the steel bracelet is opted for, a NATO strap is supplied with the watch — which features an easy-switch device that makes the activity a tool-less pursuit. The two other Autavia references come in cases sized and styled identically to the steel ones, but instead are made of bronze. Dial choices for the bronze models are green and brown, both gradated, too. The green-dial version is combined with a bidirectional rotating bezel in black, the brown one gets the same-color bezel. Both bezels are made of ceramic. A khaki leather strap matches the green dial. The other model is an all-brown affair. As expected, the caseback covers of the bronze pieces are titanium. Whether coming in steel or bronze, the new Autavia pieces are fitted with sapphire crystals and have a 100-meter water-resistance rating. Shared among the seven models is TAG Heuer’s self-winding Calibre 5. This certified chronometer movement — it has 25 jewels, operates at 28,800vph and stores power good for 38 hours — is fitted with the new carbon-composite hairspring which TAG Heuer introduced earlier this year. Branded Isograph, the hairspring was designed and is now built in-house at the watchmaker’s La Chaux-de-Fonds digs. 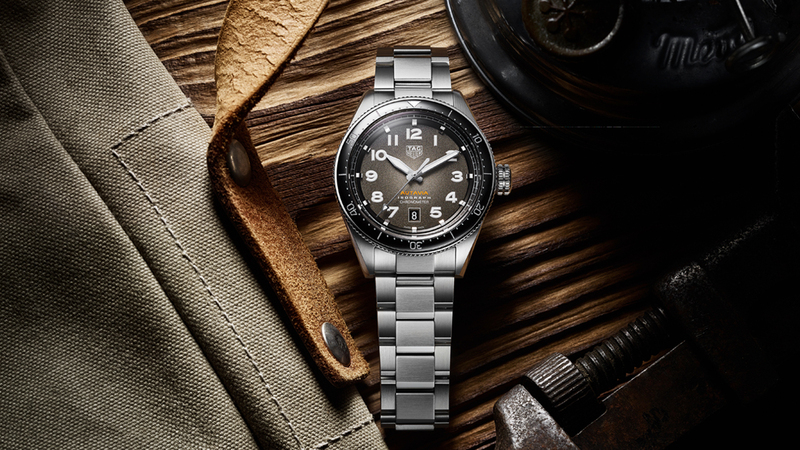 TAG Heuer explains the hairspring “improves the performance of watches fitted with the brand’s chronometer-certified movements,” and cited the component’s ability to withstand gravity and shock, and absolute resistance to magnetism, as key factors which improved operation. And because the hairspring was designed to allot tension equally between the oscillations of the balance wheel — which is made from an aluminum alloy, by the way, so both it and the carbon-composite hairspring resist changes in temperature — the movement has turned more accurate. The Calibre 5 isn’t visible through a glass window on the watches’ back, though. Instead, TAG Heuer opted to fit the new Autavia models with solid caseback covers. Engraved on these is the image of a vintage wheel with wire spokes, on top of which is placed a three-blade aircraft propeller. Yes, just like the giant one spinning at the TAG Heuer’s Baselworld booth.